Andreas Hausladen is at it again with an update to his IDE Fix Pack which supports Delphi XE6. If you haven’t heard of the IDE Fix Pack before you should really check it out because it greatly speeds up the loading time of the IDE, increases compile times, and seems to fix some of the Access Violations you may encounter when using the Delphi IDE. If you are running XE5 you can check out our writeup of the IDE Fix Pack for XE5. This most recent version of the IDE Fix Pack contains some new features which include a CompilerSpeedPack for the XE6 Android compiler and the CompilerSpeedPack will also work when you use the new MSBuild option provided in XE6. The MSBuild option allows you to compile giant projects outside of the IDE instead whereas they may normally cause the compiler to run out of memory. The IDE Fix Pack now supports this new compile mode. I installed the new IDE Fix Pack in XE6 and instantly noticed a different in how long it takes the IDE to load up. You can check out his blog post about the new release here. 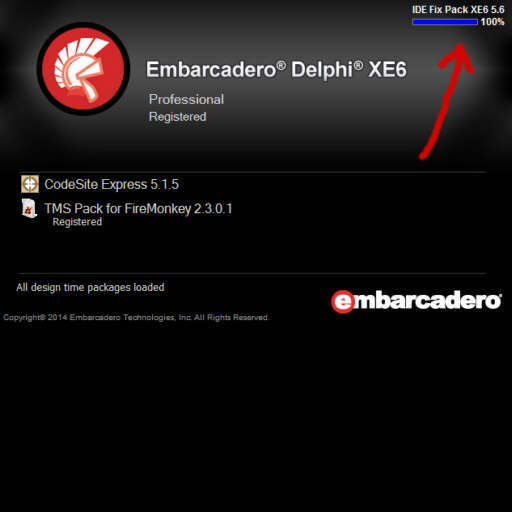 Head over to his site, download, and install the free IDE Fix Pack for Delphi XE6.